Topline Naturals are a brand I feel the need to shout about. 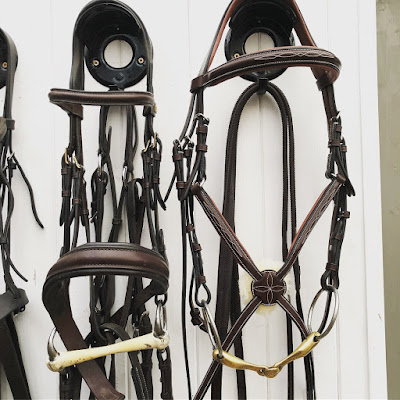 From the products to the packaging I am in awe of their ethos and can't wait to share three exciting items that we all need in our tack rooms! Organic Soft Mouth - I always use a balm on the corners of Oscar's bit and mouth. I do this for prevention more than cure because of the rubber snaffle he wears, especially at this time of year when his coat is changing. 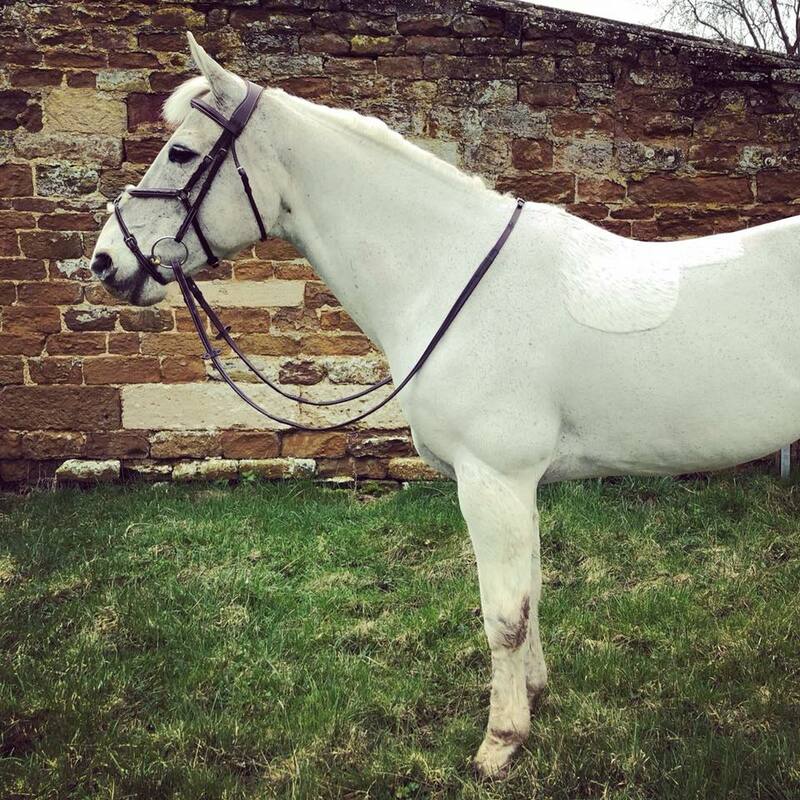 I also know plenty of riders whose horses are thin skinned all year round that his would be perfect for. My Soft Mouth balm lives just outside Oscar's stable, so it is conveniently to hand. It replenishes lost moisture, encourages repair and is highly palatable too, Oscar loves licking the delicious peppermint balm once applied. 99% of the ingredients are organic and a must if you have a young horse when teaching them to accept and relax into the contact. Nourishing Shampoo - looks like golden honey and smells deliciously fresh! Owning a grey, I get through a lot of shampoo. I found it reassuring that this product promised to gently remove dirt, sweat and everyday stains whilst cleansing the coat instead of stripping it of natures goodness. Made from 75% organic ingredients, both Oscar and I loved it and a shampoo I would certainly stock up on! It lathers up nicely, refreshed Oscar's mane, tail and coat leaving him gleaming! Leather Balm - regulars will know I have a teeny weeny bit of OCD. I wipe my boots over after each ride...and my saddle and bridle maybe every other?! Everything has a place and everything is left as I'd like to find it. So Leather Balm is always welcome in my tack room. Opening the pot, I dipped my sponge straight in. The tallow and beeswax give it a beautiful texture, not too hard so you have to dig, equally not to soft you get too much. The scent of citrus and oregano is bright and the balm glides effortlessly. Promising to help your leather maintain softness, pliability and strength whilst gently nourishing and protecting and 99% organic. The Topline Naturals website opened my eyes. I was blissfully unaware that the law enables cosmetic manufacturers to stamp their goods as 'organic' even if as little as 1% of their products are exactly that. Where possible Topline Naturals use certified organic and sustainably produced resources. Safe to humans, animals and our environment, made here in Great Britain. I admire the brands transparency, reassuring me I am doing a little bit of good for the environment, you'll hear a lot more about them on Gee Gee and Me I am elated to have found such a brand! It is often said that Oscar has a better wardrobe than I do, and I certainly spend more money on his. That's for sure! Now its time to equal things out a little because LeMieux have launched a page on their website dedicated to us as riders, making it our turn to wear LeMieux! Fabric...made from a dynamic micro-nylon spandex material the breeches stretch four ways and provide a smooth, comfortable and adaptable fit. I first wore them on the hottest day of 2018 (since 1940 might I add) and found them incredibly comfortable. Sizing...the fantastic fabric is a credit to the fit being 100% true to size. I wear a size 10 and the breeches are available in sizes; 6 - 16. Shape...we've all got a preferred brand of breeches, usually because of the way they fit, making them comfortable. 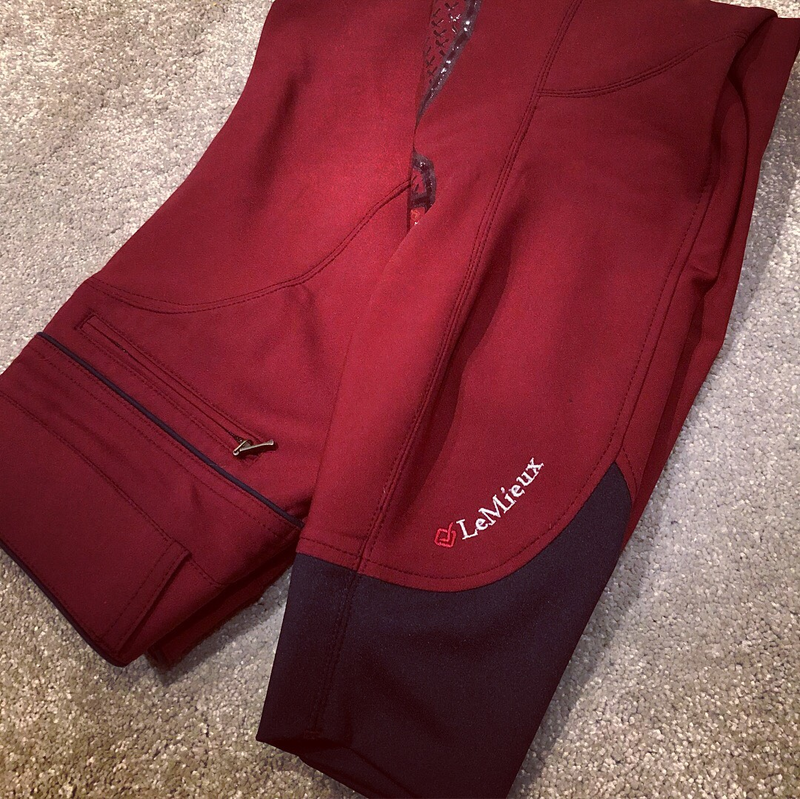 The LeMieux Pace Breeches are designed to support our core tummy muscles for a slimmer, sleeker profile and to maximise comfort in the saddle. They come up to a nice mid-rise height, with a little extra stretch where it matters to allow for minor variations in hip and waist shapes. LeMieux X-Grip...the silicone design on the knee patch provides security whilst in the saddle. The patches are shaped to reduce bulk and lay neatly on the inside of the leg. Allowing full movement in the knee without the friction that some incorrectly placed silicone knee patches can cause. Invisible to the rider, but certainly there for when you need it most! Ankle...made from an anatomic lycra sleeve, in contrasting navy on my burgundy breeches. Meaning zero bulk and total comfort under long riding boots and half-chaps. Another plus in this hot weather. Style...where do I start? Not only are they beautiful to wear, they're beautiful to look at too. From the pleated front pockets to the LeMieux branded burgundy buttons...they are classic LeMieux with meticulous attention to detail. 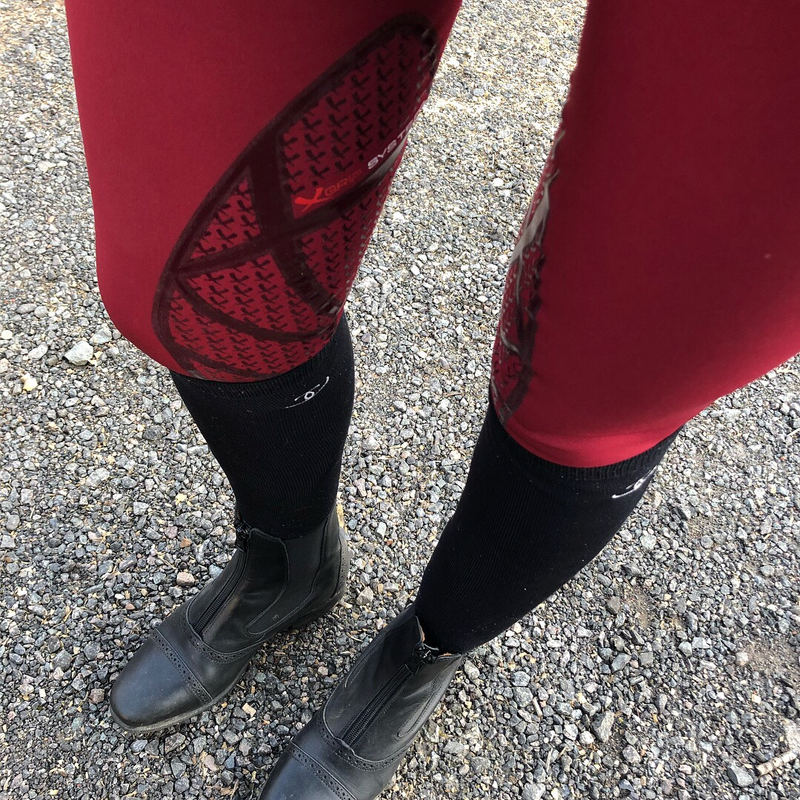 I felt confident and comfortable whilst wearing them in the saddle and they have clearly been designed with the rider in mind. 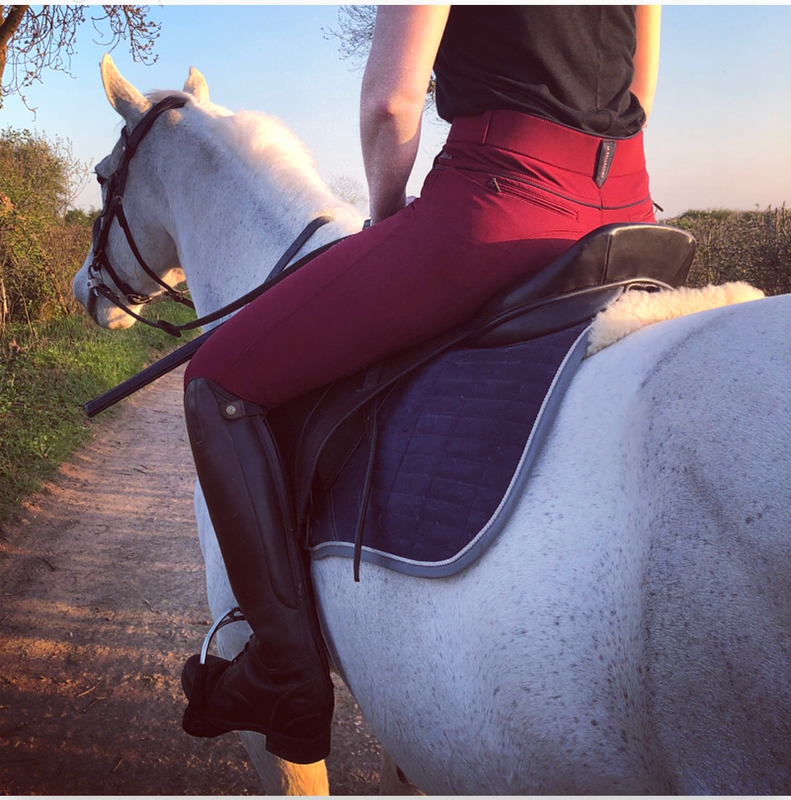 The Pace Breeches will perform high enough at competition level, and equally well as all-round everyday riding breeches and cost £74.95. I can't wait to see more from the LeMieux Rider Wear Collection. I was lucky enough to be chosen as Lund Saddlery's 'Monthly Competition Winner' and sent a stunning Figure 8 Bridle, from their Hunter/Jumper Series. As always, before sharing anything on Gee Gee and Me I like to have put a product thoroughly through its paces...four months on I am happy to report that Oscar and I love it and I am sure you will too. 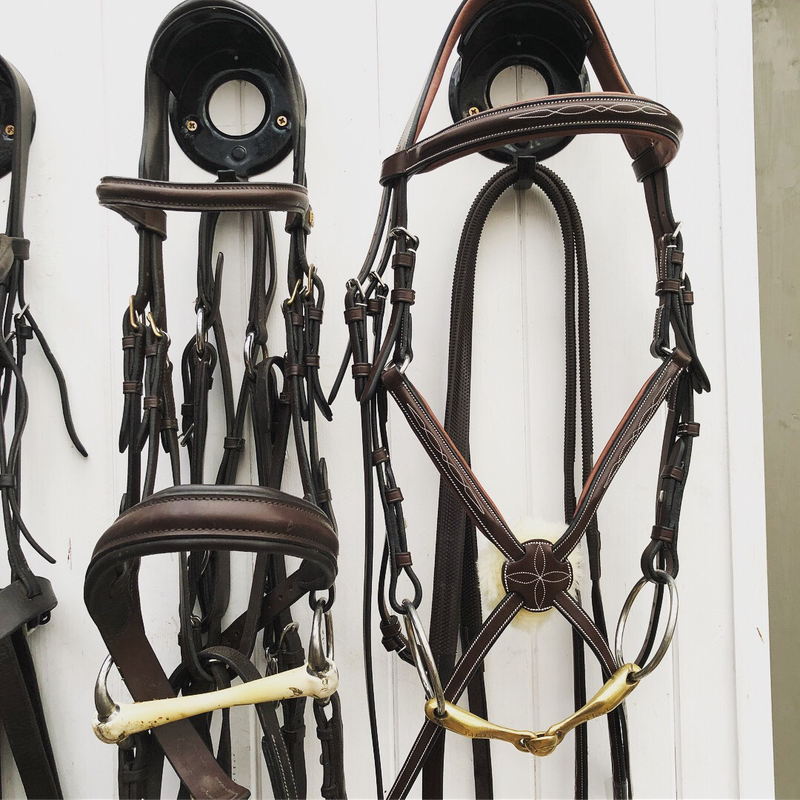 Like many others in the equestrian world, we grew tired of dealing with the retail pricing of any decent-quality leather strap goods and saddles. 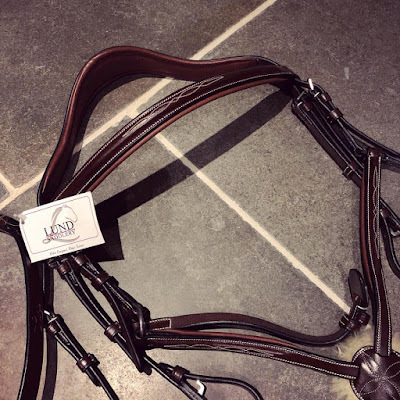 Lund Saddlery was formed with the singular belief that top quality, high end leather tack could be provided to the customer for pricing that presents value." The Figure 8 Bridle is a grackle, made from Sedgwick Australian nut English Leather. 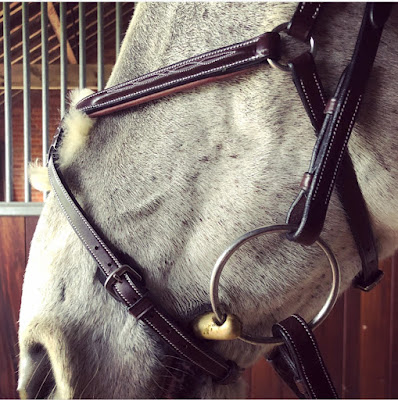 Although a bit of a mouthful, the milk chocolate coloured leather is renowned for its consistency in both colour and quality, having a very well finished grain with little to no visible marks, making it the perfect material for horse tack. Lined with contrasting Italian leather, that provides padding to the sensitive parts of the face the bridle lays against. The leathers compliment each other perfectly and both are buttery soft, there was no wearing-in or repeated oiling required. The headpiece has an anatomic monocrown design, providing an excellent fit and poll comfort and is contoured around the ears. 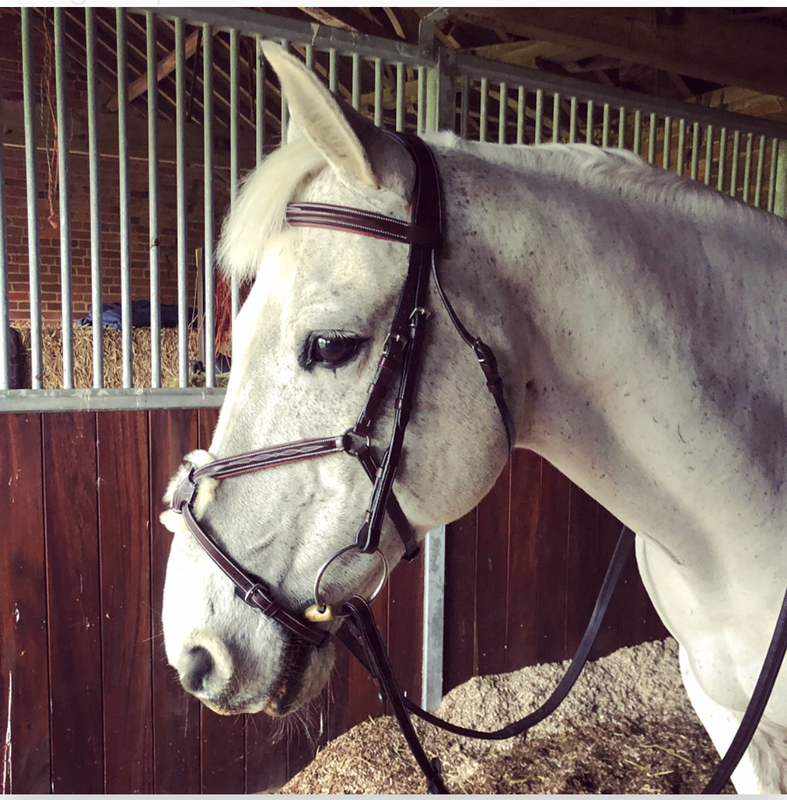 The fit is true to size, Oscar's cob size bridle is spot on and if you're unsure, Lund Saddlery's Size Guide is one of the best I've come across, with each and every measurement noted. The fastenings are solid stainless steel hardware, the sheep wool nose-pad is premium grade, the intricate white stitching on the Hunter/Jumper Series proves it is all about the detail with this brand. With this in mind we flew up the gallops, cantered on the beach, splashed in the sea and explored Exmoor, bouncing over the purple heather alongside red deer and the wild native ponies. Both getting thoroughly wet and muddy in the process - at one point, I wish I'd packed goggles. Astonishingly Oscar arrived home in Leicestershire cleaner than ever because after every jaunt, we were so filthy, nothing but a bath would do. 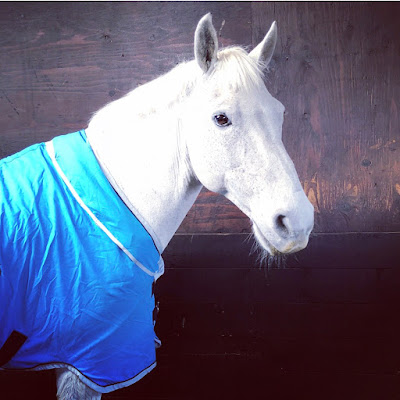 Armed with a sponge and a bucket of hot water normality soon resumed and I had the chance to use the Rambo Dry Rug we won from fellow Blogger, Tina Wallace of Life on the Left Rein. 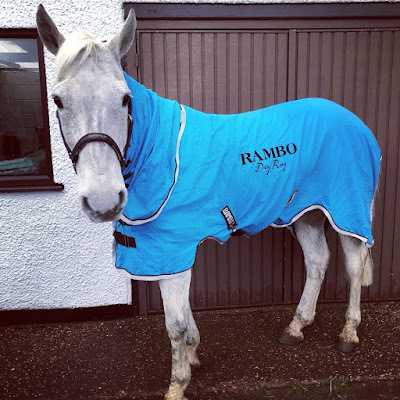 Aside from it being the perfect shade of blue for beautiful Oscar, the Rambo Dry Rug is super lightweight and to touch, feels like a car wash shammy. Made from polar fleece and microfiber towelling it is designed to absorb moisture. It is a fast drying fabric that lays smoothly over the horses coat to encourage a high shine. The neck amazed me, rather than being detachable, it folds neatly into the neck line of the rug, secured by velcro making it extremely versatile. 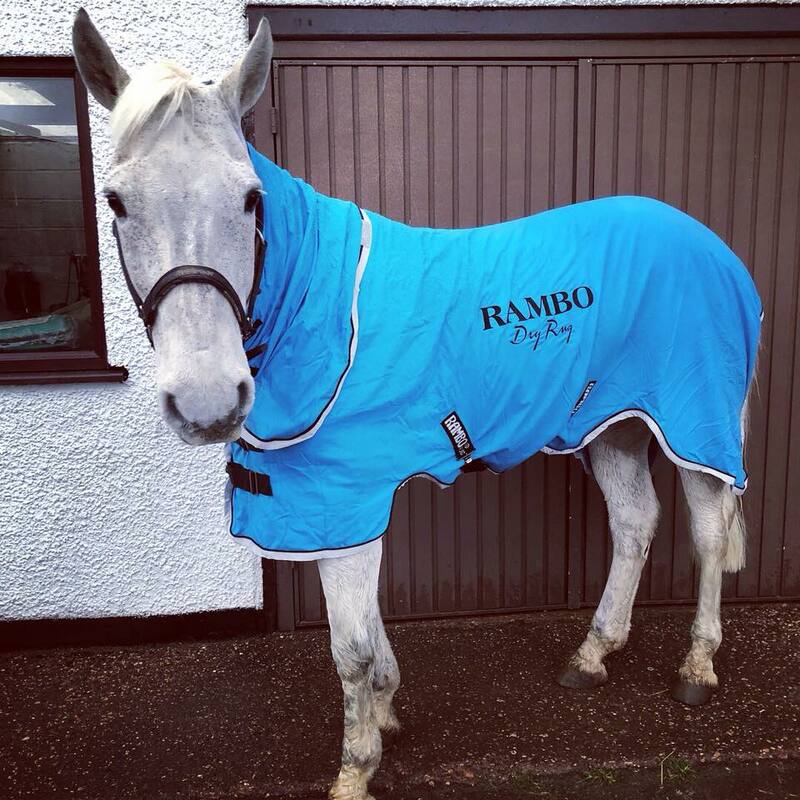 Oscar wears a size Medium and is a 6'ft in rugs, the Rambo Dry Rug is easily adjustable with elasticated surcingles and a multi front fit to most shapes and sizes. 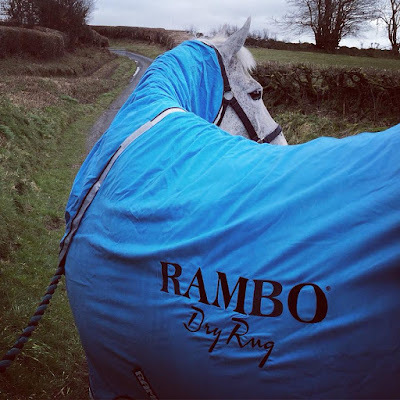 This week the Rambo Dry Rug has been an essential piece of kit for us, Oscar has dried in record time, without shivering or being cold and the risk of loosing condition. And for vanity purposes, it is perfect because it means he was 100% dry before turning him out. They're a worthy investment that will be used year-round and also make the perfect rug for travelling in...find yours here.